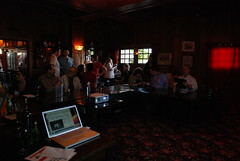 Thanks to everyone for coming out to Netsquared Houston last night. The impromptu developers introduction to the iPhone proved popular and I believe we had 30 ish folks in attendance. @dsilverman has a great write up on Netsquared Meeting on the Techblog as well.